As we already know inorganic / social media traffic is most helpful to get readers, subscribers and visitors. We must need social account or a social fan page for drive traffic to your website. Facebook is the top and most popular social media site and easiest way to increase your web visitors. But some people failed because they have not many fans. We must need quality and genuine fans if you need genuine traffic from Facebook. Also I saw some people who are buying Facebook likes, but they don’t know most of companies give fake fans, inactive peoples and useless likes. You can invest your money for purchasing Facebook likes but you can’t get profits from them. So today I decided to share some logic and free strategy to increase your Facebook likes by doing some steps. There are many different way to boost your fans and get readers. Something likes youlikehits, addmefast and many social exchange sites. If you use this kinds of sites for boost your followers, you will get fans for sure but your fans count will decrease also. Those exchange sites is only for waste times. Just read the whole and basic steps to get genuine readers and increase Facebook likes. It’s the greatest way to increase your followers in Facebook fan page. You can create a Facebook fan box and add it on your blog sidebar. You can also add your Facebook like button in every blog posts, below your blog posts / below blog post title. Another great way is you can use popup Facebook like box in your blog. When people visit your website, they can see your Facebook fan page by 1 click. You can use this step to increase your fans in social media page. You can insert your Facebook fan page URL in your author bio or about page. It’s the most powerful way to increase your Facebook likes faster. Make sure you type your blog title or company name in your Facebook fan page. Also you can use fan page URL matching with your blog name. It’s another way to optimize your Facebook fan page in search engines. If you have too many friends in your Facebook account, don’t forget to invite your all friends in your Facebook page. If they like your page, you will get benefits. :D Keep update your Facebook page regularly by post something about blogging. You can send email to your all subscribers to like your page. You just need to attract your readers for become your fan. If you add a post like about social media or anything else, they will see your post and obviously like to become your fan. You can learn some marketing tips to know how it works well. It’s really worthy and 100% working strategy to increase your Facebook likes. Just make a new group for your blog and add your all friends. You can add your Facebook fan page link in description option or you can directly ask your group members to like your page. You can try it one time to see it’s work or not for you. Try to find some great and eye catching images about your niche and share it on your fan page. If people like your image, they will share it on their profile. It’s mean you will also drive traffic to your website by sharing some images. Its work well with too many people, you can try it and see your success on increase Facebook likes. That is effective and worthy steps to increase your Facebook likes. If you need any kinds of help about social media, don’t hesitate to comment here. I will try my best to reply your comment. Thanks. Thanks a lot for spent your time to read my post and comment here. I'm really happy to know you like this post. Yup. Now a days social media is great way to generate traffic to blogs. Thanks for your comment prashant. this service is free and works for facebook, twitter, youtube, soundcloud, pinterest, instagram, and many more ! www.socioboosters.com Today, every business person want to improve their business and they are connected to all social media, because social media is great method to improve their business in all fields. such as Facebook page, twitter , Instagram etc. If you have a Facebook page which shows your business activities to all business person or who liked your page already. 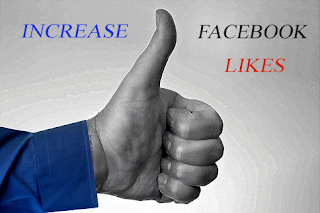 you will have to increase your Page likes, because there is a formula will help in Facebook page. we are team of full talent and high technical qualification who will help you about these social media applications. we provide facebook people likes + Post likes+ twitter followers+Instagram followers+ facebook followers etc. It is very increase Facebook likes as per your choice to get high technical qualification. You have done a really nice job.